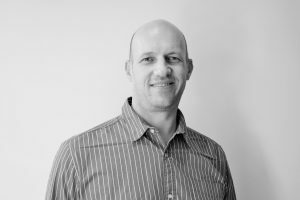 Meet our professional trading coach Greg Groenewald who is a valued member of the Trading College team. Greg’s career background was originally in IT and he is an experienced Dynamics CRM software developer. Throughout his career, Greg was an instructor, lecturer, and mentor to students and junior developers. This ignited his passion for teaching and mentoring. From a young age, the financial markets intrigued Greg, leading him to discover trading and seek trading training. Greg has been a mentor to our students for the past year. He is highly regarded by his mentees as an experienced and knowledgeable trader. Greg believes mindset plays a huge part in being a successful trader. He believes to master your mindset is to discover the path to freedom. 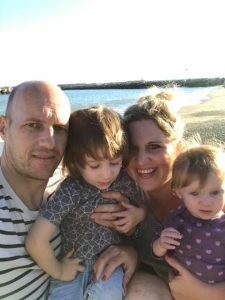 We caught up with Greg to find out about his background and what encouraged him to learn trading. 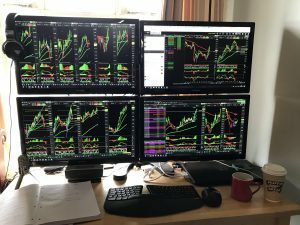 Greg talks about his career transition from software developer to a consistently profitable full-time trader and Trading College coach. Hi Greg! Could you tell us a bit about yourself? I’m originally from South Africa and I’m married with two children. I came to the UK on a working holiday visa in 1998. I knew that I wanted to return and work in a professional capacity. In South Africa, I started studying software development. Finally, in 2011, I qualified for a UK visa. I was able to leave South Africa and follow my dream of moving to the UK. What career did you go into? I started looking for Software Development jobs and eventually, I found something. I’d been with 2 companies in the past 6 years. During this time, I started to look into trading. I’ve always wanted to be in control of the decisions I made financially and trading allows me to do just that. Having a software development background, I am used to working in a technical environment and conducting analysis. Being able to make my own decisions based on technical charts as a trader seemed to make sense. The other reason I wanted to learn how trade was that I wanted something where my money could grow exponentially. If you’re going to follow a normal career path, it will take a lot of time to kick-start your career. This was especially true for me, being in a new country where no one knew me and what I was capable of doing. I started looking for trading training. I watched a bunch of free webinars, attended different seminars and looked for trading courses. At the end of the day, I decided I wanted to take my trading career with Trading College. Can you tell us about your journey with Trading College? 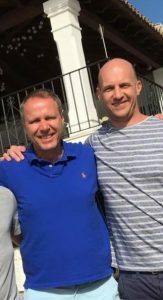 I attended the Ultimate Forex Apprenticeship (now known as Learn to Trade Live) back in April of 2015. During this course, it became clear to me that Trading College was unlike other trading course educators who just tried to hard sell a course to you. What I received on that day was proper training with trading strategies and knowledge that I could use after the day had finished. There was no hard sell of any sort and that’s what appealed to me. Also, Lee himself came across as a genuine guy and that he definitely knew what he was talking about. After the Ultimate Forex Apprenticeship course, I immediately decided that I wanted to sign up for the Mentorship Programme. With me, it’s either all or nothing. I knew I wanted to give trading my all and that’s why I signed up for the Mentorship Programme. I carried on working full-time as I did the Mentorship Programme. What is it about trading that appeals to you? Like I mentioned earlier, I wanted to do something to grow my money exponentially so the financial freedom aspect appealed most to me. You never have to go to a yearly review ever again in your entire life with someone telling you how great you are but with no reflection in your salary. It’s definitely the financial freedom and independence. I am in control of my own destiny. I can decide what I want to spend my time on, whether it be with my family or to focus on trading. The best thing about trading is that you only need an internet connection and a laptop. How did the Mentorship Programme affect your trading? I don’t think I would be where I am today if I hadn’t have joined the Mentorship Programme. The one-to-one sessions with your coach are absolutely invaluable. At the time, I arranged it so I would have one-to-one sessions every week. The feedback that you get from these sessions is what accelerates your trading progress. When I first started trading, I tried to learn as much as possible as quick as possible but quickly learned that wasn’t beneficial. In hindsight, this was not the best approach. When I joined the Mentorship, my coach taught me that I would have been much better learning at a reasonable pace. It was better to focus on one or two strategies at a time. I was taught to master those before moving on to learning new strategies. That’s why the one-to-one sessions were so beneficial. My coach helped me by showing me the best way to propel your trading is to focus on one strategy and master it. After completing the Mentorship Programme, I managed to get in the position where I could transition to becoming a full-time trader and a coach with Trading College. I now trade as my main source of income. Why did you want to become a trading coach? I’ve always enjoyed coaching. I was a Karate Sensei as well as mentored some junior developers in Software development. I’ve taught and mentored many people and always enjoyed doing it. The reason why is two fold. 1) It is the most fulfilling thing to be able to see someone grow into the person that you believe they can become. 2) It improves you as a trader. Each person is different and I have to find a way to get each person to understand the same thing. First of all, I have to understand the way that the other person is thinking in order to find a way to explain something to them in a way that they will understand. That is a challenge which I thoroughly enjoy. Having had a career in IT, helping out with technical things like setting up and explaining the works of the charting platform comes naturally to me. Having mentored people in other areas in my life (as supposed to trading), as well as having gone through the same struggles as most traders during my Mentorship period, I can empathize. I have gone through a lot in terms of mindset work on myself. As well as over analysing the markets at times (which comes naturally to my C-personality type). This is something a lot of traders struggle with. I know where they are coming from and can help to share my experiences in this regard, to overcome this challenge. The mindset is what really intrigues me and understanding how different personalities approach the markets differently. What feedback have you received from your students? I have received feedback that after explaining something to them, they understand it much better than just going through the portal on their own with no feedback on their understanding of a subject. I’ve had lots of good feedback from students regarding helping out with their Chart setup, as well explaining certain strategies to them, giving them that extra bit in-depth knowledge, which helps out tremendously. This positive feedback encourages me to be a great trader and coach. What’s your advice to your students? The amazing thing is that you can make money for the rest of your life once you know how to trade the markets. You can do this by being a master of one strategy. Once you’ve mastered your strategy, you can move on to the next strategy and become good at that! The good thing about having multiple strategies is that you can trade in any environment that the market is currently at. Definitely get a trading education. Find a strategy, master it and become consistently profitable with it. I aim to ensure all of my students are on the right path to success through our one-to-one sessions. With a strong IT background, I am also happy to help with technical set up and give IT advice. I try to be involved with my students’ trading journey as much as I can. I do this by running webinars, attending members’ coffee mornings, and coaching at our classroom events and Mentorship Days. Always remember – this is a marathon, not a sprint! Good luck on your trading journey.